The first time I saw the Berg Orchestra perform not long after its founding in 1995 the concert program offered a typical mix of new and old music, with the more familiar fare used to draw audiences to the modern music they were still for the most part unaccustomed to hearing. On that particular evening, new was Shostakovitch, while the old and familiar was none other than Mozart. Times have changed since then. In “hymns & odes” performed at Prague’s Grand Hall of Hlahol the “old” pieces were Honegger’s Symphony No. 2 and Schoenberg’s Ode to Napoleon Buonaparte, two modernist pieces from 1941 and ‘42 respectively, both intimately connected with World War II and hardly easy listening choices to fill the seats. The new works were British composer Julian Anderson’s 1997 Past Hymns and the world premiere of Czech composer Vojtěch Esterle’s Three Canons. 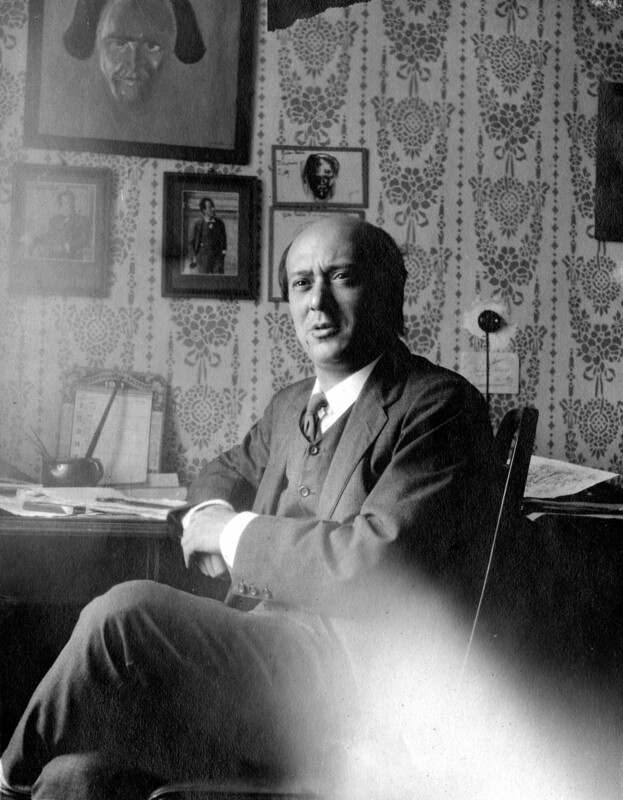 Yet when Schoenberg’s Ode started immediately following Esterle’s powerful, haunting piece, as modern as it still feels, it was like a leap back in musical time, making the contemporary pieces that preceded it all the more striking. The setting was notable as well, with the orchestra providing a tour of the Art Nouveau riverfront building of the choral association before the concert took place. The building has been through its share of turmoil. During the war it was taken over by the German occupation authorities and when the chorus thought it would move back in 1945 they found out that the space had been requisitioned to store flour. To hear Schoenberg’s Ode To Napoleon Buonaparte performed by string quartet and piano, conducted by Robert Craft click here. (And if you read the comments below the video/song you will see that the emotions Napoleon provokes are just as heated as they were in Byron’s day though the reactions are a tad less poetic).